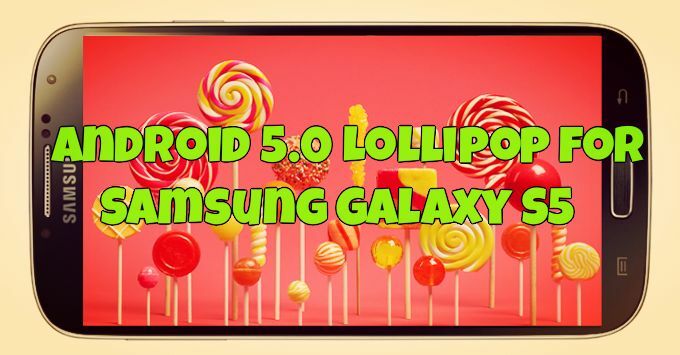 The Android 5.0 Lollipop update for the Galaxy S5 has started to roll out. And now the official update is available for the US Samsung Galaxy S5 SM-G900F users. The new official firmware is based on Android version 5.0 (LRX21T) and comes with lots of new features like lockscreen and heads-up notifications, MirrorLink support, Tap & go (automatic setup assistant), ART runtime, and more. If you’re in the UK, head to your S5’s settings > about phone > software update page and get in on the Lollipop action! Or you can use the Samsung KIES application on your PC to get the update on your S5. If you don’t like wires and PC stuff, you can use the OTA method. To download and install the firmware via OTA, go to settings > system > about device > software update > update. If you can’t see the OTA Update on your phone, then you can use the manual method to install the Android lollipop update on your S5. Currently the update is only available for the uK users, but very soon other regions will get the update. You can download the update zip file here (G900FXXU1BOA3_G900FOXA1BOA4_BTU.zip) and install the same with the help of ODIN tool. All you need a Samsung USB drives, ODIN app and PC to install this update. To update it manual read full instruction here and update your S5 with Android 5.0.